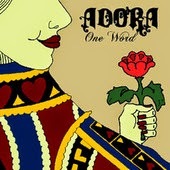 words at dawn: MUSIC: My favourite 2012 songs/albums! MUSIC: My favourite 2012 songs/albums! In alphabetical order. Various genres. 8 tracks. Pop Rock. Available on iTunes. Chicago independent band. Fav songs: Skeleton, Breaking Branches. Make sure to also listen to Save Yourself, a great song by them. All Time Low - Don't Panic. Available on iTunes. I got so excited when I heard ATL were back to Hopeless Records! I love the songs Backseat Serenade (ft. Cassadee Pope) and So Long Soldier. 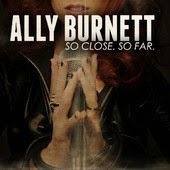 Ally Burnett - So Close. So Far. 5 tracks. Pop Rock. Available on iTunes. You can listen to 3 tracks on Ally's Purevolume page, here. Fav tracks: Give It Up, We're All The Same. 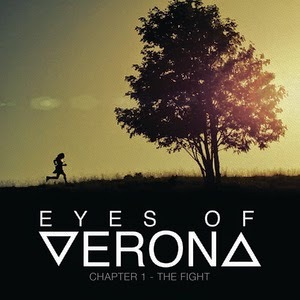 Eyes of Verona - Chapter 1: The Fight EP. 4 tracks. Alternative Rock band. EP available for purchase here. Two songs available for free download, Feed Your Believers and We Are. Fav. song: Wolves, Feed Your Believers. Halestorm - The Strange Case Of... -Rock music. Simply the album I most listened to during this year. I love how this band has matured so much. If you don't know them, you're surely missing out a lot. Check out the videoclipe for Love Bites & I Miss The Misery. Late July - When The Curtain Falls. 7 tracks. Available on iTunes. You can stream it by clicking here (as well as purchase it). Fav. songs: When The Curtain Falls and Not Your Lover. Perfect for a rainy sunday morning, while laying and procrastinating in bed. New Years Day - Lights Out & Do Your Worst singles. Both available on iTunes. Listen to Do Your Worst and Lights Out and fall in love with the band! Picture Me Broken - Mannequins. 4 tracks. Rock. Available on iTunes. Stream the whole EP here. Brooklyn's vocals in Beautiful Disguise are enchanting. Stitched Up Heart - Grave. Song available on iTunes. Make sure to check its videoclip here. The Pretty Reckless- Hit Me Like a Man EP. 5 tracks. Available on iTunes. This EP's Make Me Wanna Die Live version is uh-mazing. Under The Water and Cold Blooded are really great songs. Make sure to check out their new single, Kill Me, too. Tamar Kaprelian - California EP. 5 tracks, pop rock. Available on iTunes. Tamar is one of my favourite ladies on this Earth. She's got a sweet, sweet, voice, and beautiful lyrics and melodies. Her songs always bring me peace of mind, and I am so thankful for that. My fav song of this album is California, which is also the album's single. Check it out here. Also, check Tamar's fashion blog, Up-Town-Girl. VersaEmerge - Another Atmosphere Preview. 3 tracks. Available on iTunes. I love No Consequences. Their new sound is literally Another Atmosphere. I can't wait for the full length! Stream the new songs here. Make sure to check out their single Burn, too. It's my fav. song of their new music. So far. What were your favourite songs/albums from 2012?